A year time ago I began working on a quilt in which I was going to sew together all the many little flags I had hanging around during my wedding. I figured why waist perfectly good fabric and plus it'd be a lovely wedding day "souvenir" after all was said and done. Just a few of the flags during our big day. All was going well with the quilt until school began, my focus went else wheres and my desire to work on the quilt diminished, resulting in it being packed up and put away. So sad. I wrote about my frustrations back in Oct 2010 in this post Unfinished Quilt. Finally this month I found my motivation again and committed to finishing it up. It only took me a couple of evenings to get the patches sewn together and complete the back. It's by no means a work of art with its many uneven places, bumps and odd pieces sticking out but honestly I'm proud of it. I was able to bring it home this following weekend too so we got a few shots of it. So I present my "Marriage Quilt"! Now I have to say that though Jonathan liked the quilt when I finally was able to show it too him the one who show the most appreciation for all my hard work was my parent's dog, Holly. 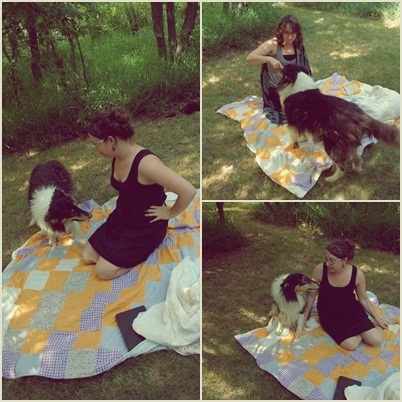 I brought the quilt out one afternoon this weekend to spend some time with my mom and sister. Holly was instantly drawn to it and we had the hardest of time getting her to not lay down on it. As far as she was concerned I had made it for her. Love this so, so much!! 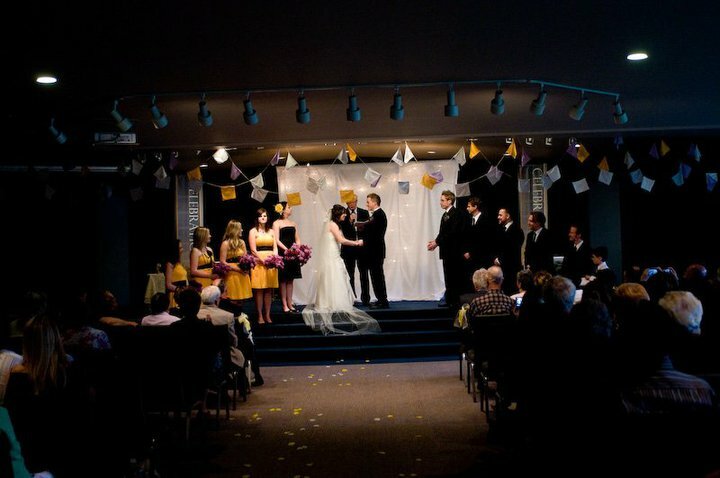 It makes me want to incorporate fabric flags into my wedding JUST so I can make a beautiful quilt like you! !